As many of you might know, we added a new bar area to our kitchen this year. I am still mildly obsessed with it. While stocking the bare shelves, I realized that I was short on glasses. Code for: all I had were mismatched wine, highball, tumblers etc. Nightmare. The search began, I wanted elegant new glasses for the bar. On a recommendation from a friend, I took a look at a small company in Lyme, CT that sells tumblers and stemless wine glasses. 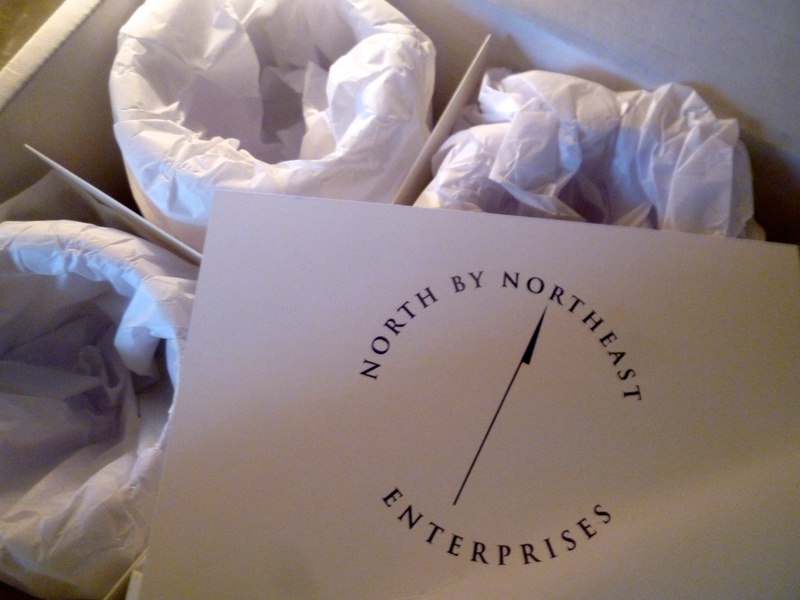 North by Northeast Enterprises. What I love about about these glasses is – you can personalize them. Pick a place you love, add a tagline and they etch the exact latitude and longitude of the location onto the glass. I couldn’t pick just one place, so I had them made for two! The “Captain’s Claret” stemless wine glass is 21 oz and made from beautiful Riedel crystal. They are pretty much all I use now. For wine, water – anything! I also had the “Midshipman” tumblers made for a friend who just bought her dream house in Palm Springs. The perfect glass for a late afternoon California cocktail. The best part, the address of her house is Rock 8. Love it! The box the glasses arrive in is gift ready. Just wrap and go! The bar is complete. I cobbled together an array of other glasses that will work just fine. If any of my new North by Northeast glasses break, guess what? They will replace as few as ONE because all of your engraving info is on file. CHEERS! Summer, Summer Don’t Leave Us! Great piece about wonderful glasses! I was sent a set for my new house that I use daily. Thanks for sharing! Stemless glasses offer endless functions for wine, water and creative decorating vessels. Enjoy! Great wedding, hostess, christmas gift!